It was Friday when we came back from Dubai, where the 35th International information technology exhibition in MEASA region was held on October 18th-22nd. It’s hard to imagine what kind of information technologies was demonstrated here in 1980, one year before I was born, while even in the past three years of Gurtam participation in GITEX Technology Week, the evolution of the region is glaringly obvious. New technologies penetrate every single sphere of public life and it’s true both for super-civilized Dubai and more conventional emirates and countries. 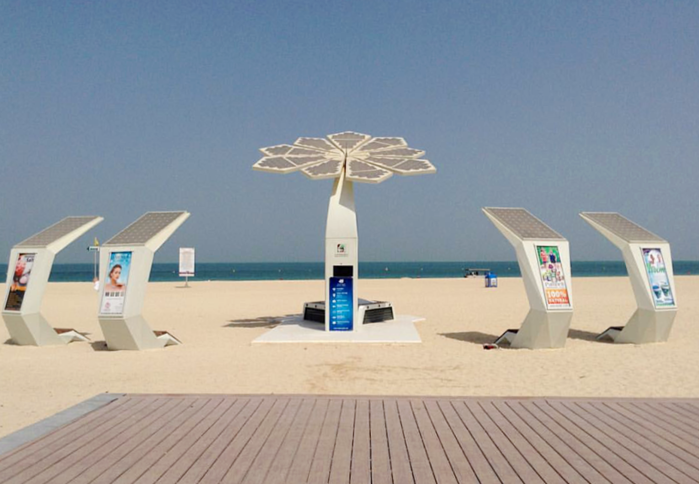 For instance Jumeira beach we were lucky to attend by night (after an eventful day at a booth and supper with one of our partners) is notable for artificial palm-trees with solar batteries installed to accumulate energy during the day and glow, share Wi-Fi and charge your phone at night. Now therefore, if anyone still believes the Arab world to be all about the white desert sun, Bedouins riding camels and scattered palms, you’re welcome to visit Moscow with bears wearing shapka-ushankas on Red Square. I haven’t seen a single camel during the trip, as the citizens prefer to use subway. The subway, bus stops alike, is equipped with air conditioners and is entirely automatic, with no motormen: everything for the common good. This was the man-made heaven to where we headed having pretty good starting position with about 50 integrators and service providers in the region utilizing Wialon. Company growth in this region, particularly in Turkey, UAE, Egypt and Saudi Arabia, reaches around 100% a year. The exhibition was characterized by active start. Even though our booth was not situated in a crowdy place, we have never had a moment to spare. Our team of six people was strengthened by our partners. 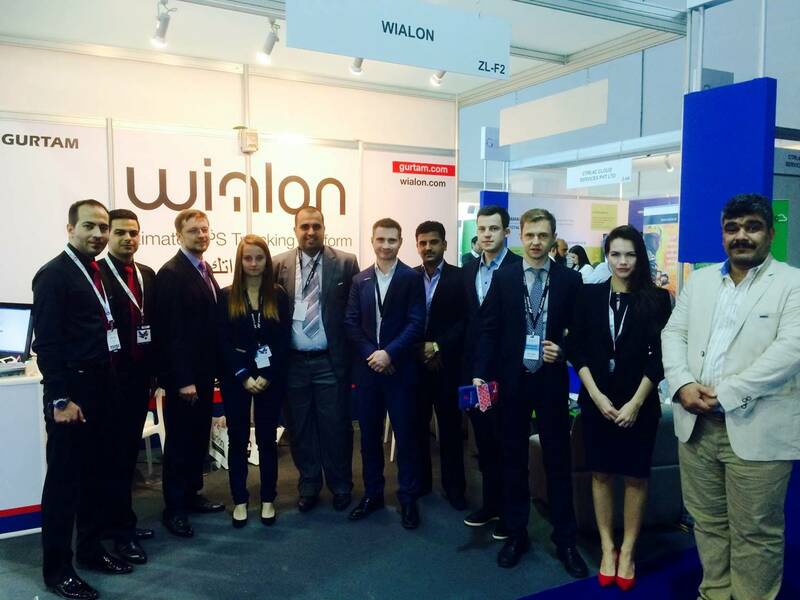 They were glad to share their expertise with new clients and show them proprietary developments, elaborated exclusively for Wialon system. GiTi GoStar from Iran demonstrated Simorgh Tracker, a GPS-Tag-like mobile application with a number of additional features, as application settings access and quit restrictions. Worldtrack from Denmark created an application for Garmin (and other Android devices), allowing the driver to send his current status to Wialon system, for example “loading of goods”, “delay due to traffic jam” and etc. The status is registered in the system and can be used in reports or trigger icon change. Intrack from UAE developed an application for the clients of web-shops and courier services, allowing to track goods delivery status and evaluate courier performance. Every active partner of ours had an opportunity to complete special Wialon training and get answers to any practical questions related to Wialon operation. The above was made possible by Alexander Smirnov – our Wialon training and certification specialist. Hardware manufacturers established contacts with Volga Smirnova, Gurtam Chief Marketing Officer. VIP guests had photos taken with CEO Aliaksei Shchurko. Sales International Department representatives communicated with potential clients, who, by the way, were numerous. Unfortunately, unlike with CeBIT in spring Hannover, we didn’t feel accumulation of telematics force around Gurtam booth: other companies’ booths were located a fare way from ours, but it couldn’t help getting client exchange with hardware manufacturers on the right track. Thus ATrack, Ruptela, Globalsat, RCS, Garmin, Squarell and others proved to be reliable partners in the framework of GITEX 2015. Even though our booth was hard to find even with the help of special mobile application for navigation throughout the Halls, those who did find us were rewarded: apart from traditional sugared cranberries we brought to Dubai delicious Belarusian honey. “Only those able to find our booth suffering many hardships and cutting through twists and turns of GITEX galleries and halls can become strong Gurtam partners, – I used to say jokingly, – and those who didn’t manage to find us, would hardly find any clients”. Time flies, and even after the event officially ended, it took people time to leave our booth – there was still much to discuss and still much information to share, but tomorrow morning a plane to Minsk was waiting for us and we were about to leave Dubai… …To leave with a view to come back. Giving due consideration to the scale of projects planned in the region and market development rate, the idea of Gurtam presence in Dubai not even during GITEX, but for the whole year becomes more and more real. 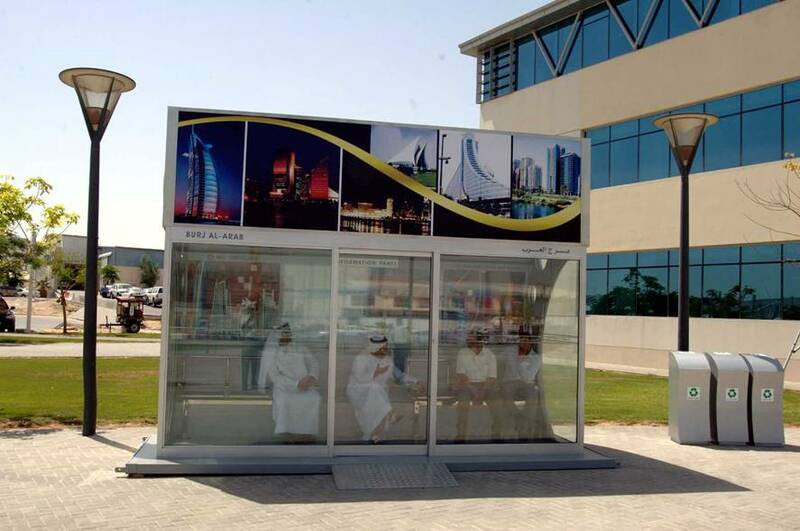 The concept of Gurtam office in Dubai takes shape and soon Dubai can extend the list Minsk, Moscow, Kaunas and Boston.